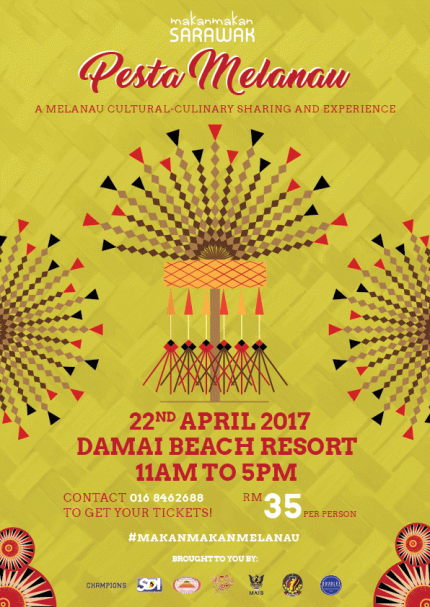 Bagi anda yang ingin merasai Melanau Cultural Experience, anda boleh hadir ke MakanMakan : Pesta Melanau yang dianjurkan oleh The Champions dan Yayasan Perpaduan Sarawak di Damai Beach Resort Pada 22 April 2017. MakanMakan Sarawak: Pesta Melanau in 2017 features one of the local indigenous groups within the region of Sarawak. Traditional dishes grounded in Melanau food culture such as the live Si’et known as one of their famous local delicacy. Each dish is accompanied by in depth explanations by local experts on their cultural and traditional significance. Guests will also get a chance to observe and learn the food culture and practises of the Melanaus throughout the programme.